This chronic condition is also sometimes called fibromyalgia syndrome and it causes pain throughout the body, including both joint pain and muscle pain, as well as fatigue and other symptoms. The condition often causes patients to suffer from social isolation and depression. It most commonly occurs in women – they are 10 times more likely to get it than male patients and it usually occurs between the ages of 25 and 60. Fibromyalgia causes aching throughout the body. It can also cause crippling fatigue – even when a patient first wakes up. There may be parts of the body which are very tender to the touch. Patients can also have problems sleeping and suffer from depression. Muscles will feel overworked or pulled and sometimes they will have intense stabbing pain in them. Patients will often feel pain and aches in their joints, particularly across the neck, shoulder, back, and hips. It can cause problems with exercising and sleep. 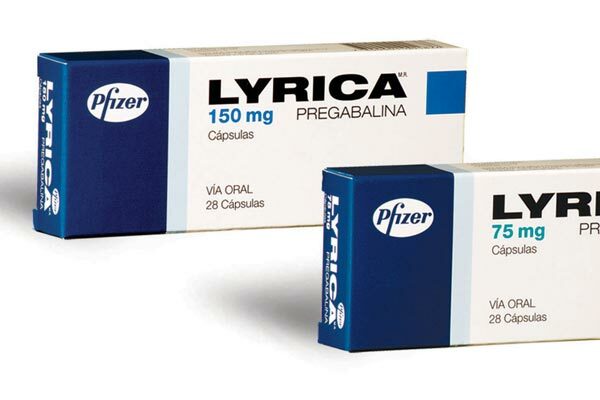 Lyrica is the brand name for the drug pregabalin. It works by cutting back on pain signals received from damaged nerves. It is used for many pain-related conditions, including fibromyalgia. What Do You Need to Think About When Taking Lyrica? Lyrica is not a cure, it just helps to manage symptoms and it can take several weeks to feel the full benefits. It is a drug which can cause severe reactions and in some cases, the reactions can be fatal. It can also change mental health and cause patients to develop suicidal ideas. Patients with diabetes who take Lyrica should monitor their skin carefully and contact a doctor immediately if there are any redness, sores or skin problems. The drug can also cause limbs to suffer a build-up of fluid. Let your doctor know if you could be pregnant, are pregnant, or breastfeeding, before taking the drug. Tell your doctor if you are a man and your female partner is, or could be pregnant. Lyrica could affect the ability to father a child. Drinking alcohol can make the drowsiness and sleepiness caused by the medication even worse. If a dose is missed, take it as soon as you remember but if it’s more than a few hours late, skip the dose and then take the next dose at the regular time.Don’t take two doses to make up for a missed one. What Are the Side Effects of Lyrica? So once you have considered all these issues, if you decide the drug is right for you, then you need to understand and look out for the side effects and know when to seek medical attention. As your body adjusts to the medicine during treatment some of the more common side effects may go away and may not need medical treatment. Your doctor can also advise you on ways to reduce or prevent some of these side effects. Consider all the issues before taking Lyrica, and make sure you inform your doctor fully of your medical situation before starting with it. Always follow the prescription advice and seek medical attention if you are concerned with any of the side effects. How can medical marijuana be helpful in treating fibromyalgia? Weight gain, of excessive amounts for me in a very short time. It has taken a long time to get the weight off as well. It did however help the symptoms. For myself it is not worth the gain of over 60 pounds in eight months. Weight gain, extreme depression, suicidal thoughts…not worth the side effects! I ve been prescribed Lyrica for about four years now. I am not a pills lover, but I had to take it and really didn’t like them. Too strong in one side and too much damage in the other. I am not taking them anymore. I don’t fill they are safe. I have been on Lyrica for four years now. It has helped me out so much that I can actually have a so called life back. If I miss a dose though, my body feels it. I refuse to come off it . The doctors can mess with any other medicine but not my Lyrica. I’m same way.. I’m up to max dosage and only side effect is concentration and saying what I’m thinking.